Creativeworld was pleased to partner with the excellent performing Heckmondwike Grammar School for the implementation and development of a new brand identity across the School’s communication channels. 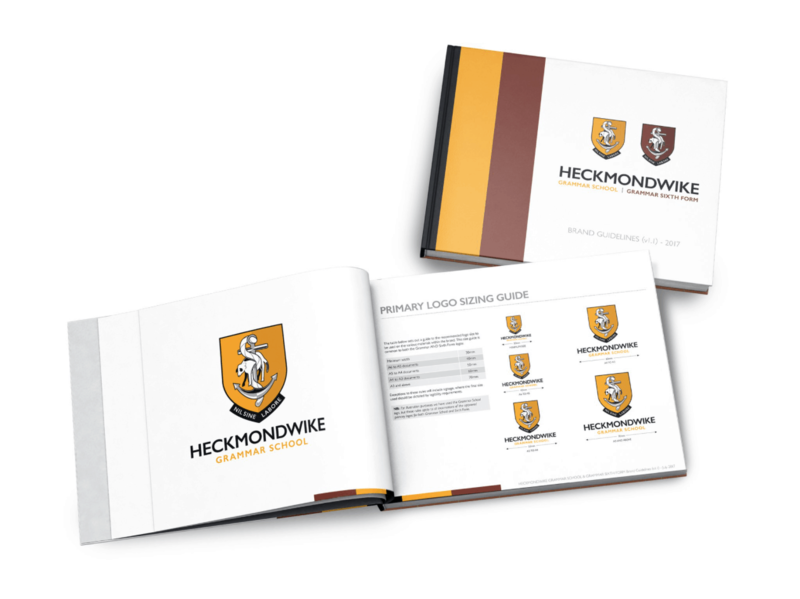 We were commissioned by Heckmondwike Grammar School to deliver a full brand consultation and implementation. As part of the branding process, we had to ensure we understood the needs of the audience whilst maintaining the profile of the School. The initial brand discovery stages (which involves a trial and error phase of what works and what doesn’t) included a full consultation period with all stakeholders, including Staff, Parents, Communities, Students and Alumni. The process was carried out through focus group work, interviews and written feedback from all groups. This involved gathering information about what the stakeholders felt about the Heckmondwike ‘brand’. From this feedback, we developed a new brand strategy which best represented the institution. Our concepts were inspired by various key indicators made in the initial insight and engagement work carried out; this was then passed back through the various communications channels and concluded in a new evolved brand. The new branding enabled the School and Sixth Form to utilise it internally and externally. A set of Brand guidelines and a toolkit have been created to cover the main aspects of the school’s communication channels, including signage, digital media, prospectuses, stationery, presentations and internal communications literature. This has assisted the School to become more joined up with their branding across all formats. David Bennett, our Educational Consultant added, “it’s been an exciting project to work on with such a prestigious School as Heckmondwike Grammar School. They worked well with us to ensure all stakeholders were involved in the process of the brand development and how important the brand was for the tradition of the School to continue”.